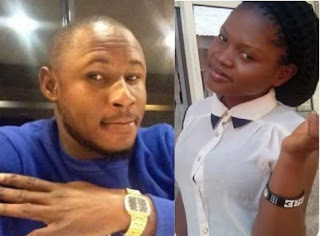 A 22-year-old man has been arrested for killing his girlfriend in Ondo State, Nigeria. Oweniwe Chukwudi, a student of the Rufus Giwa Polytechnic, reportedly tricked Adeyeye Nifemi to a bush about 10 kilometres away from campus, where he attacked her and left her for dead. According to a report by the Vanguard newspaper, Chukwudi returned to the bush only to find out that she was still alive. He reportedly took her to a camp close to a filling station, where he strangled her again. Nifemi did not die, so he smashed her head with stones until she died, the report said. The police are said to have acted on a tip-off and arrested Chukwudi, who confessed to the crime. The news prompted speculation that Chukwudi was a secret cult member who had attempted to use his girlfriend for money rituals. He, however, denied that, claiming that he had killed her for the fun of it.